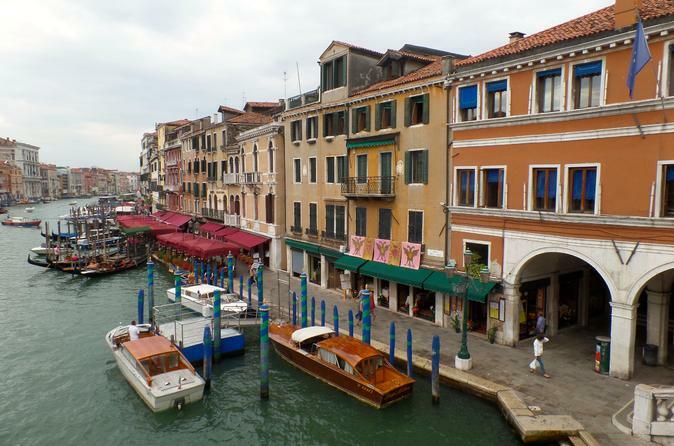 Discover Venice exactly the way you want to with this completely customized private tour. Your friendly local guide will create a 3-hour itinerary based on preferences you provide at booking. Whether you’re interested in architecture, local legends or Renaissance art, this tour is for you! Along the way, pop in at a local bar for a glass of regional wine and appetizers, and feel free to ask all the questions you like. Um guia especializado irá criar um itinerário personalizado apenas para você com este tour privado de 3 horas. Escolha entre cinco horários de partida diferentes para se adequar à sua programação e forneça informações sobre seus interesses e ideias no momento da reserva. Encontre seu guia no horário pré-estabelecido no centro de Veneza. Dependendo das suas preferências, o seu itinerário pode incluir um passeio a pé por igrejas históricas, mercados, praças escondidas e palácios opulentos. Se você está interessado em arquitetura, arte renascentista ou comida e vinho, seu guia irá projetar um passeio que é apenas para você e compartilhar informações fascinantes sobre a história e cultura de Veneza ao longo do caminho. Por exemplo, alguns locais populares para passear pela Praça de São Marcos incluem a Igreja de Santa Maria Formossa e o Mercado de Peixe de Rialto, onde os venezianos se dirigem para comprar a captura mais fresca do dia. Com todos os passeios, faça uma parada em um tradicional bar de vinhos para uma bebida e cicchetti - a versão veneziana de lanches. Por favor, note: O seu tour incluirá apenas visitas ao exterior dos edifícios. A Praça de São Marcos, a Basílica de São Marcos e o Palácio Ducal não podem ser visitados neste passeio. Igrejas também podem ser inacessíveis nas manhãs de domingo, quando cerimônias religiosas estão acontecendo. Conhecer Veneza com um guia profissional é totalmente diferente e eu recomendo fortemente! Mais ainda se for um guia como o Michele. Italiano mas com um português perfeito! É outra visão de Veneza! Vale muito a pena! Foi ótimo, caminhamos 3 horas por lugares que não são muitos frequentados por turistas,foi muito interessante. Venice was a fun city, glad we did the tour. However, there are a few things I would change. We had to meet to start the tour at the travel agency office, which was VERY difficult to find. We ended up calling them to get a land marker and finally found it. But why not meet at a common central landmark. Our tour guide was very old we're in our late 40's, opinionated and didn't really try to connect with us. She was very knowledgable about Venice and the history of Venice, but wasn't interested in us or sharing anything other than historical facts. The tour included 1 glass of wine and one small local snack. We understood this to be a 3 hour tour but she ended at about 2.5 hours, maybe due to the fact that it was so HOT. What a great way to see and understand Venice. Barbara was very knowledgeable, is a local and spoke perfect English. She is very passionate about Venice and job. Thanks Barbara! We really liked this tour, our tour guide was informative and it was a perfect introduction to the for a first day tour in Venice. Asked our guide, Barbara, to show us hidden Venice and had a fascinating walk around the back streets learning about the city and the people. We went at our own pace stopping off for coffee when tired rather than being rushed from place to place. Highly informative and amusing. We all agreed that on future city visits we would book a guided tour to help acquaint ourselves with our surroundings. Grace is from Venice. She is knows a tremendous amount of history and stories about the region and its relationship to other countries and cultures throughout time. She is also a very helpful and kind person. 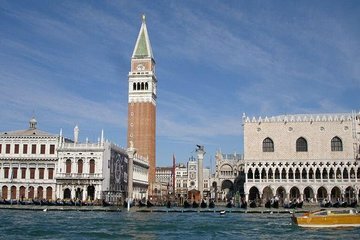 Grace's tour provided my wife and me with the perfect start and an excellent overview of Venice ranging from history and locations and the development of this beautiful city. While expensive, a tour with Grace was well, well worth it -- especially at the start of our visit -- so we could better understand the significance of what we saw and experienced for the rest of our stay in this spectacular and wondrous place.